‘Tis the season for tomatoes, mozzarella, and easy-peasy recipes for summer grilling and picnicking. 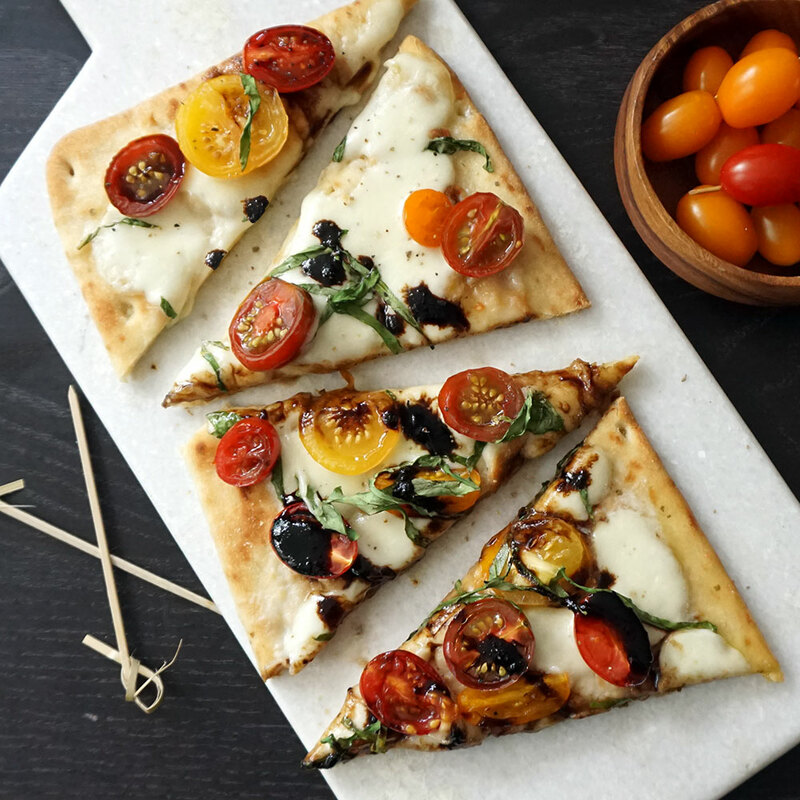 I go for all things caprese, so it’s no surprise that I’m delving into pizza-type foods for this caprese flatbread. 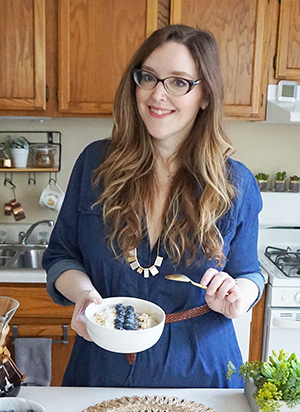 When you take all kinds of shortcuts like I do, this is the easiest heat and go dinner EVER. I’m a fiend for balsamic, cheese, and cheaper-than-meat vegetarian dishes. 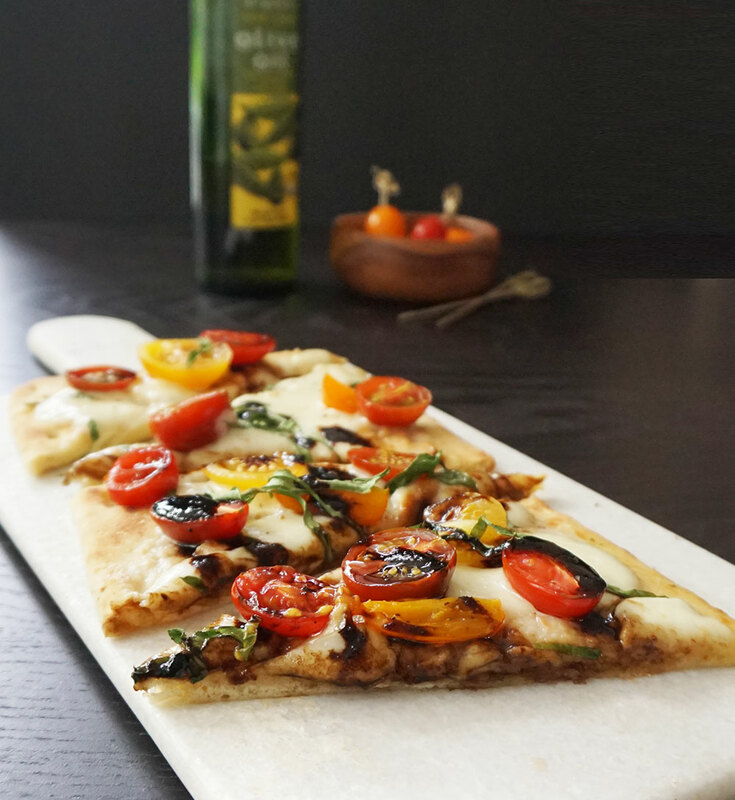 So this caprese pizza is winner-winner chicken dinner. Without the chicken. But you could add chicken now that I think about it. 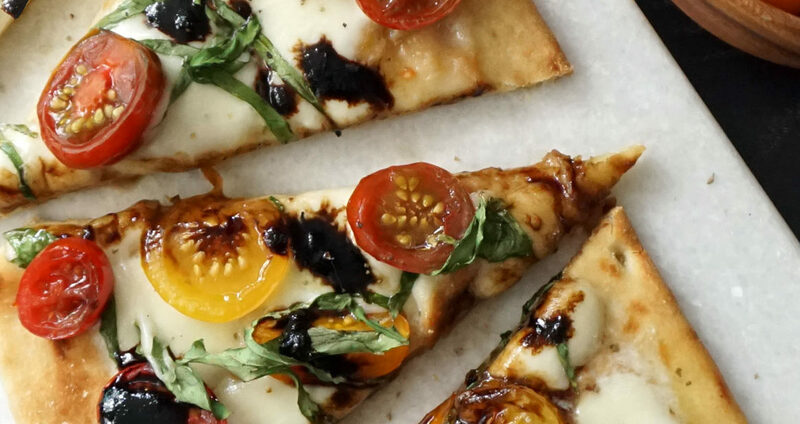 Oooh, caprese chicken flatbread time! I just realized how often I cook caprese-inspired dishes. It’s kind of a lot. 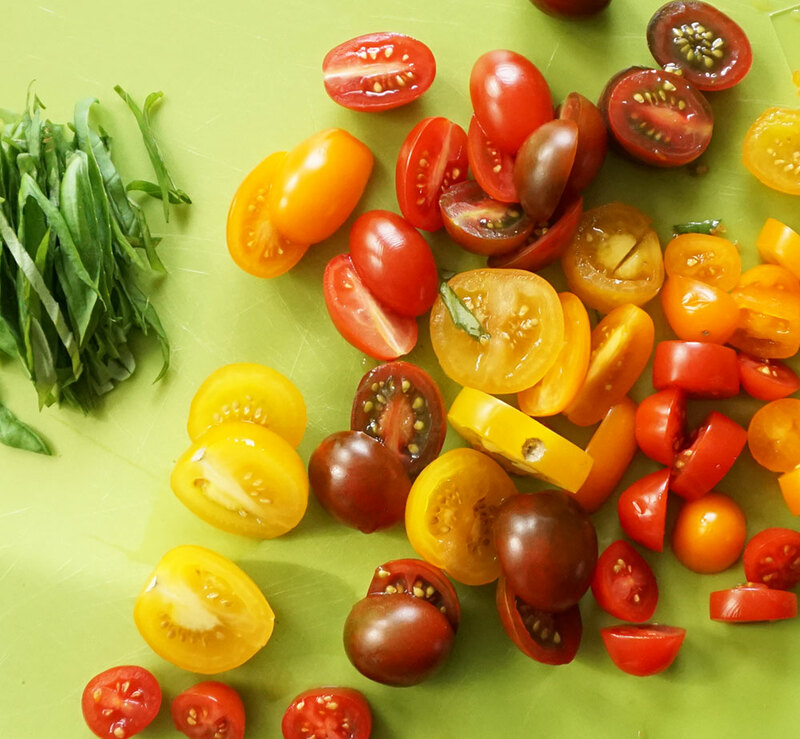 Here are a few favorites in case you’ve got some leftover tomatoes and mozz. And the balsamic! Don’t forget it! 1/2 cup balsamic vinegar, reduced like this! Preheat oven to 450F. Lay out flatbread on a large baking sheet and brush each with some olive oil. 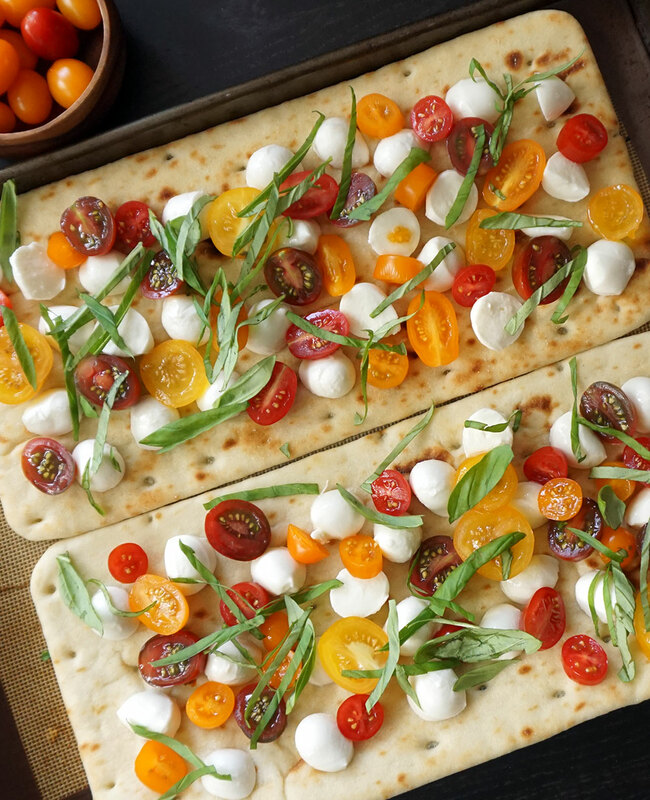 Slice tomatoes and mozzarella into halves and arrange all over the flatbread. Sprinkle basil, salt, pepper, and half of the balsamic vinegar on top. Bake for 15-18 minutes until the cheese is melted and bubbly. Top with the rest of the balsamic reduction (here's how to easily reduce balsamic vinegar!). Slice into pieces and serve hot.